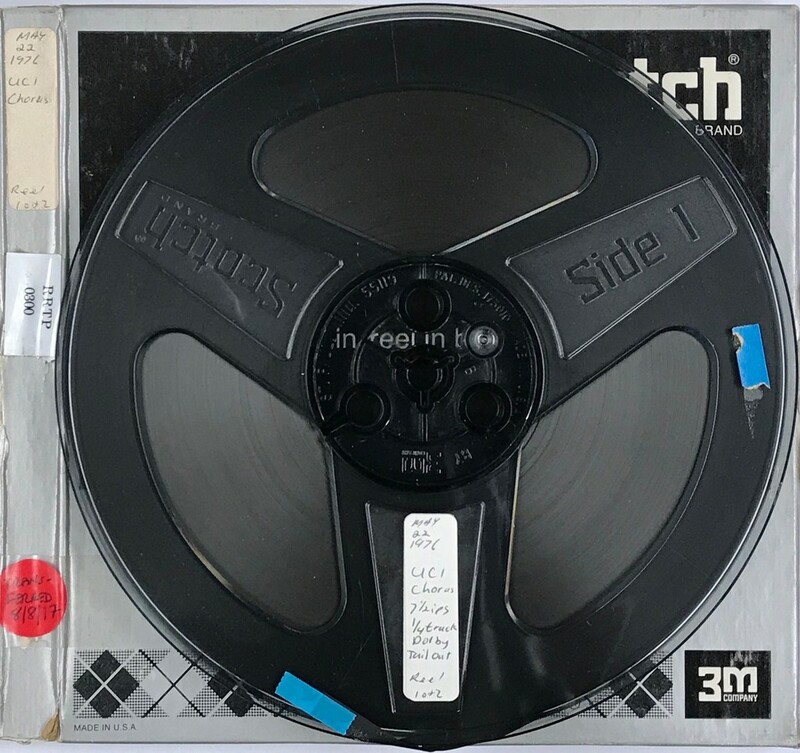 Scope/Content: Recording of the UCI University Chorus concert May 22, 1976. Performers: Christine Cornell, cond. ; Terri Cannicott, soprano, ; Leon Alexander, tenor ; Elizabeth Gingerich, alto ; Georgina Villa, soprano ; Michael Kandalaft, bass ; University Chorus, Maurice Allard, cond. Duration: 1 hr 26 min 18 sec, 165.7 MB in two parts.